This cctv cable connects directly to any cctv camera. 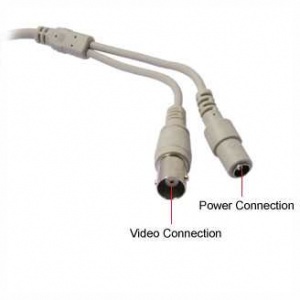 It has bnc connection at both ends to connect the camera directly to the dvr or tv (adaptor may be needed to connect to tv), a male dc power connection at one end for the camera and a female dc power connection at the other end for the power adaptor to connect to. Simply plug in these pre-made Hd cctv cables to your security cameras and you can instantly carry power out to your surveillance camera and Hd video back from the camera with a single cable per camera. 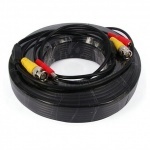 Ideal for diy cctv installations! 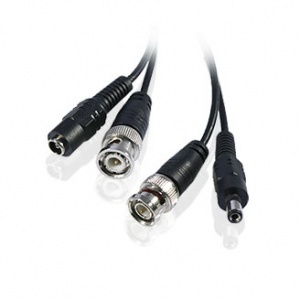 Connects directly to any cctv camera and dvr recorder/tv.